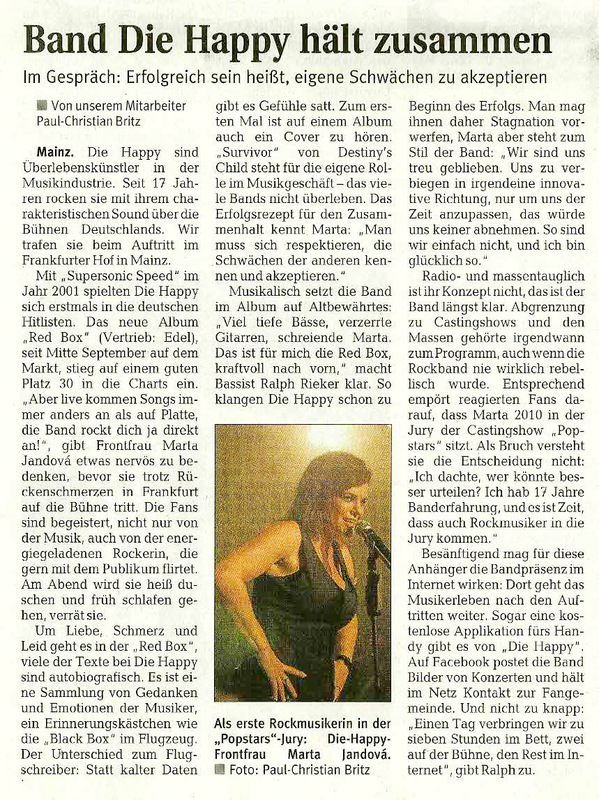 You can also read the full Die Happy-Interview and find out who Marta likes to go to bed with ;)! Also, check out my photo gallery from the Die Happy concert in Frankfurt! The Art of Missing (news) – Can Newspapers Afford it? Friday was my last day at the “Mainzer Rhein-Zeitung“. I’ll continue to write of course, but no more non-payed work from now. What if Johannes Gutenberg, the good ol’ Johnny G. was still alive? Yesterday, his statue was brought back to his home city: Mainz, Germany – only one day after the 542nd anniversary of his death.